The Zero Tolerance 0850 is a Dmitry Sinkevich/Todd Rexford collaboration based on a custom piece the two knifemakers built in 2016. This production version of the design boasts a CPM-20CV stainless steel blade with a two-tone stonewash/satin finish and decorative aluminum thumb studs. 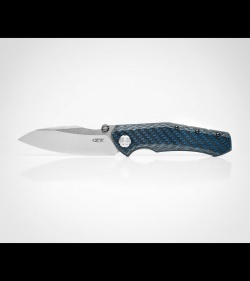 To reduce weight, ZT added a Sub-Frame Lock with a hardened steel insert to the 0850's stunning blue tinted carbon fiber composite handle. The knife comes fitted with a custom machined titanium pocket clip with a bead-blasted finish. CPM-20CV blade steel offers outstanding edge retention. Blue carbon fiber composite scales provide a sleek, lightweight build. Custom machined titanium pocket clip for convenient everyday carry. I love everything about this knife except that the detent isn't strong enough, has come open in my pocket multiple times. This is one of my favorite knives I own it is so smooth especially for being on washers. It has excellent blade steel and is very light for how big the knife is! Pocket clip is a little annoying to get in and out of my thick Levi's but great otherwise. If you’re reluctant to by this because it utilizes thumbstuds and it’s not a flipper, you should seriously reconsider. It deploys beautifully with or without a slight flick (depending on your dexterity). The blue cf feels great in the hand and makes for a lot of blade with a light carry. The clip is very nice (not too rigid). I deducted 1 star because there is a scratch/scuff where the clip screws into the cf. great lock up without any blade play. It’s plenty sharp, but I would have preferred that it come just a bit sharper. I have large hands and it fits perfectly! It feels like it was made for my hand. Cool trick: If you practice and are careful you can deploy this as you pull it from your pocket. It just requires that you allow the thumbstud to get caught on the inside of the lip of your pocket. You can also deploy this with your ring finger flicking on the thumbstud. Jimping is nice and the curve on the spine also allows for a very comfortable placement for my thumb to rest for power cuts. I have zero regrets buying this Zero Tolerance. I wasn't a giant fan of this knifes esthetics. But when the price dropped after it was discontinued it was worth it, to me, to buy it anyhow. I was wrong. It's beautiful. It took a bit to grow on me, but it's just pure beauty. It's a great knife. Smooth as can be, and it's on washers! So smooth. Locks up like a tank. The revolver like styling is super cool. Thumb stud is great. Blade shape is super useful and practical. Well built knife. I love it. 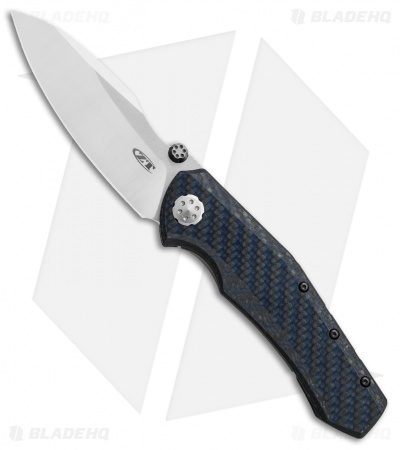 The 0850 is built like a tank but has that extra bit of flair that sets it apart from the field. 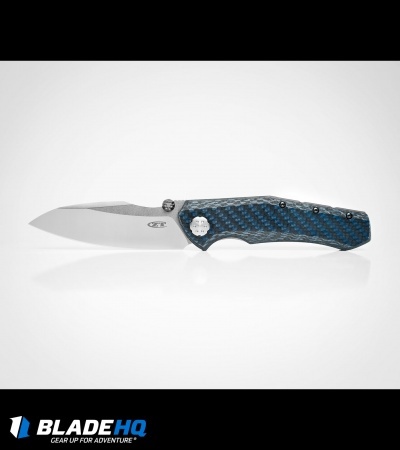 The blue CF looks great in any light and the attention to detail on every feature is clear. Action broke in quickly and now it flies open buttery smooth every time I use it. If you're on the fence I wholeheartedly recommend the 0850 at the sale price before they're all gone. What a great knife. I opened it last night and thought it was a touch too big. After carrying it today, it’s perfect. No complaints at all. It disappeares in pocket, butter smooth opening and closing. This is the first production blades that feels like a costom. I’m glad they discontinued it due to I now have one and got it for a reasonable price. Don’t know if I would have paid 400$ for it but, for 200$, worth every penny. Great knife design. Get one !! The 0850 is a lovely knife. The look of the knife all around closed or open is beutiful. 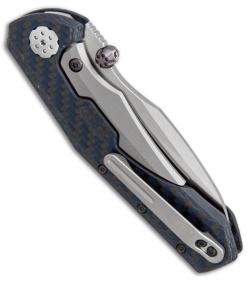 The carbon fiber is pretty as well as the sub frame which I love cause it's unique, the titanium pocket clip also pops to the eye and makes an awesome sound when you pull it out of your pocket. I really like the design of this knife and i like the revolver theme. i know some people think it's obnoxious but i like it. the blade was a little stiff out of the box but was quickly fixed with some lube and slight loosening of the pivot. the carbon fiber is nice and keeps a knife of this size relatively light. However this knife has put a hole in my clothes on two separate occasions due to the blade coming out IN my pocket. i'm not sure how maybe the detent isn't s strong on mine but a $400 msrp knife shouldn't have these problems and it's dangerous. already sliced my finger open because of it. I got this knife and straight out of the box it has been a smooth opening and closing knife and the blade was wicked sharp out of the box. Only real "con" is the thumb stud is a little rough on the thumb. ZT sub frame lock, nuff said. I did not buy this from blade but I wanted to share how amazing this action is. I have had my fair share of thumb stud openers and this is by far the smoothest. Bearings + thumbstud = gold. Won't be disappointed if this design fits your taste. This is probably the best ZT I've ever handled. Fit and finish and action are on par or better than any other knife I own to include several customs. It's a little large but don't let that scare you, it carries like a pm2 and is so light it disappears in the pocket. 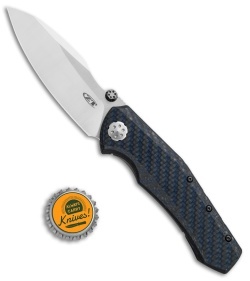 Great knife with awesome lines and excellent action, Well worth the price tag. 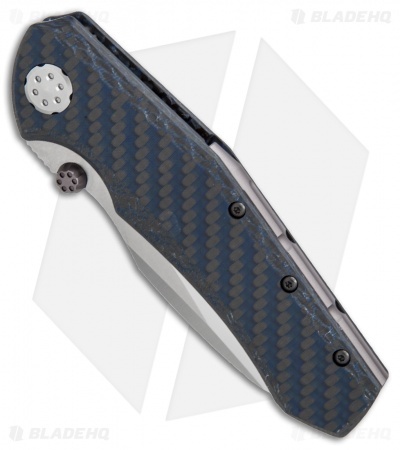 The 20cv takes a killer edge and the modified wharncliffe is awesome for everyday carry. All the Custom hardware make this knife stands out among the crowd.